A summery treat, bursting with the natural sweetness of fresh peaches and cooling yoghurt. 1. Puree diced peach with the yoghurt. 2. 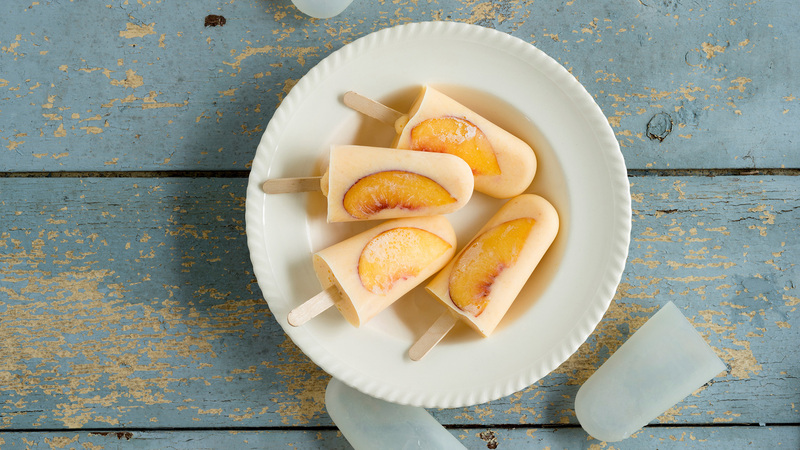 Place peach slices into popsicle molds and cover with yoghurt mixture.